Fuel Autotek officially brings in MOMO Tires and more. MOMO, one of the most recognized brands when it comes to steering wheels, has always taken pride in their craftsmanship, and their products’ quality. But steering wheels such as the Prototipo and Tuner are only the tip of the iceberg that is MOMO. They have a full and vast range of automotive and motor sport-related products and now, they are here to bring us what is possibly one of their biggest lines yet : MOMO Tires, engineered in Italy, and designed and produced with advanced tire technologies. MOMO Tires has officially entered the local tire industry and looks to make its presence felt. 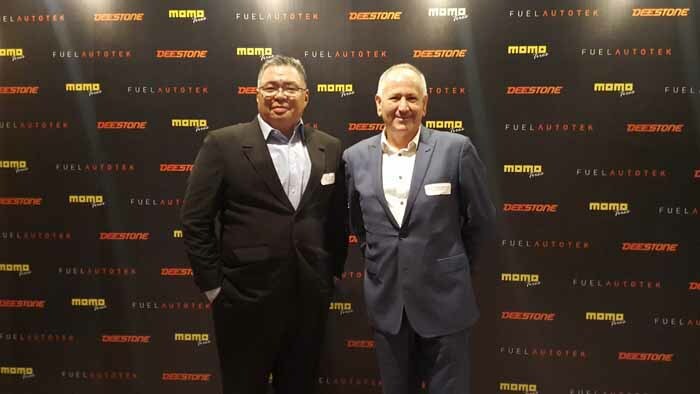 Kevin Buenaseda, Marketing Manager of Fuel Autotek PH commented, “We are pleased with this development and are currently working out the details for the brand launch in the 2nd quarter of this year at the Manila International Auto Show 2017, at the World Trade Center Manila on March 30, 2017. Other tire brands carried by Fuel Autotek PH are, Roadwing truck and bus tires from China that’s distributed nationwide, as well as Kaizen truck and bus tires from India, which is distributed in the Visayas and Mindanao Region.